Which is Better for Pain Management: Opioids or CBD Products? What is CBD? What Does CBD Do? How Can CBD Products Help With Chronic Pain? If you are looking into pain management solutions, you’ve come to the right place. If you are curious about CBD products or maybe wondering what does CBD do, we can help. In today’s modern, busy, and stressful world, many people suffer from chronic pain. Perhaps that’s because of more people than ever making a living on the computer. Sitting all day long, typing on a keyboard or craning your neck to look at a computer can be very bad for your overall health. But what does CBD have to do with that? What does CBD do? Unfortunately, many people face painful conditions like this today. Because of this, more people than ever receive a prescription for painkillers. Living life on these prescription drugs can have a very dark side, unfortunately. Sure, modern medicine offers some great things. We have made leaps and bounds forward from the barbaric practices of yesterday. However, it does not come without some downsides. So what does CBD do? In the next section, we’ll explain what opioids are. Then, we’ll get into what is CBD and what does CBD do. We’ll tell what CBD does in the world of pain management and also help explain how CBD may be able to help with chronic pain. We’ll also explain some of the dangers of opioids so that you can fully understand just how serious of an issue this is in our world today. Lastly, we’ll explain a bit more on what does CBD do by sharing some of the potential benefits of CBD. If you’re not even sure what an opioid is, it may be confusing to figure out how all of this ties together. However, hang in there. We’ll explain all of it. You likely have heard of opioids by now. They’re all over the news — and not for good reasons. Unfortunately, we are a nation in crisis due to the prevalence of opioids in our society today. But what is an opioid, anyway? And what does CBD do? Here’s how Wikipedia explains it. Essentially, opioids act on the nervous system. They are there to relieve pain — and they certainly do this exceptionally well. Sometimes opioid users feel so good; they experience a sense of euphoria along the way as well. And they are incredibly addictive. This is the problem with opioids. While in one sense, they have a legitimate medical use, they also run a high risk of dependence and abuse. That’s because they’re so strong and can have such a significant effect on the user. Plus, opioids don’t come without their side effects of their own. This is where opioids take a very dark turn. This is what has led to the opioid epidemic spreading like wildfire across the nation. It’s an unfortunate truth, but opioids are a hazardous class of drugs. Sure, they may offer some benefits. They may have legitimate medical use cases. But their evil side is taking over, and more and more people are beginning to understand just how serious this is. Now, before we continue, let’s take a look at CBD. What does CBD do? What is it good for? How can CBD products help? CBD is short for the name cannabidiol. CBD is just one of the many cannabinoids found in the marijuana family of plants. However, these days, CBD usually comes from the hemp plant. That’s because growers figured out that people want to experience the benefits that come from marijuana, but may not necessarily want to deal with the high that occurs with typical pot smoking. Another one of the cannabinoids found in the marijuana family of plants is THC. You have probably heard of this one before. THC is the chemical in marijuana that gets you high. THC is responsible for the psychoactive effect of marijuana. So what’s the point of CBD? What does CBD do? What’s the fun if you don’t get high? Well, believe it or not, some people just want to receive the benefits marijuana can offer but do not want to get high. While pot has a major recreational appeal, you can’t ignore its potential medical and therapeutic benefits as well. That’s where CBD comes in. By isolating this one cannabinoid away from the rest of the plant, you can experience a lot of what marijuana has to offer, but it won’t mess with your mind as well. Still wondering just exactly what does CBD do? In this section, we’ll explain some of the benefits of CBD so you can better grasp how it relates to managing pain. 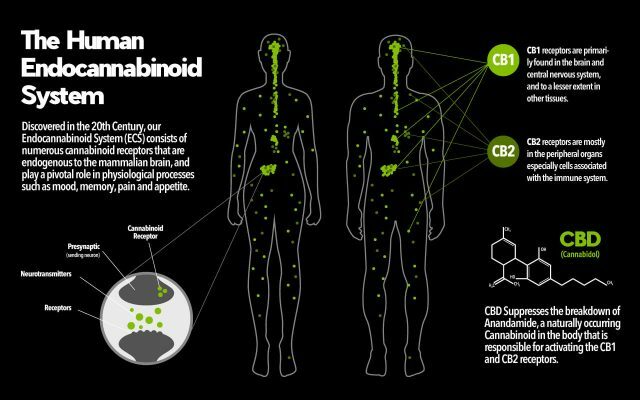 CBD binds to special receptors in your body that comprise the endocannabinoid system. These individual receptors and neurons respond very well to cannabinoids. Why? Because your body produces cannabinoids on its own! So what does this mean for you and your pain levels? Well, by supplying your body with new cannabinoids, you are supplementing it with chemicals it produces on its own and also needs. So far, it seems that CBD can bind with pain receptors to offer healing, protection, and relief. CBD also helps you to lower pain, anxiety, and worry, which means you can get a better handle on your pain as well. Moreover, CBD offers many of the same therapeutic benefits of marijuana without the side effect of getting high. That’s how CBD in some cases offers pain relief. Some people turn to CBD for relief even from conditions like chronic pain. Some can even get off of their dangerous and harmful prescription drugs and turn to CBD instead. Yes, it’s a potent and powerful plant extract. But can it help? What does CBD do for you that’s so amazing? And surely there must be side effects — this sounds too good to be true! However, that’s precisely why CBD products keep making the news. That’s why people are so excited to see how this research pans out. If CBD can genuinely help people wean off of dangerous drugs and turn to a natural, safe alternative instead, all the better. Yes, some people use CBD and CBD alone for their pain relief efforts. That means no to opioids and all their dangers, and yes to a safe, healthy, and natural plant extract that people have grown and used for thousands of years. Sure, it’s essential that scientists conduct more research before anyone claims to reach a definitive conclusion. However, the results so far are quite promising. CBD products come in all different forms, but the most popular in the world of pain relief seems to be CBD oils and tinctures. CBD oil is just a highly concentrated extract of the CBD plant. It is essential oil of the plant. In a lot of cases, manufacturers use a cold press or carbon dioxide extraction method to get the CBD oil out of the plant itself. But is there any research to back these claims up? 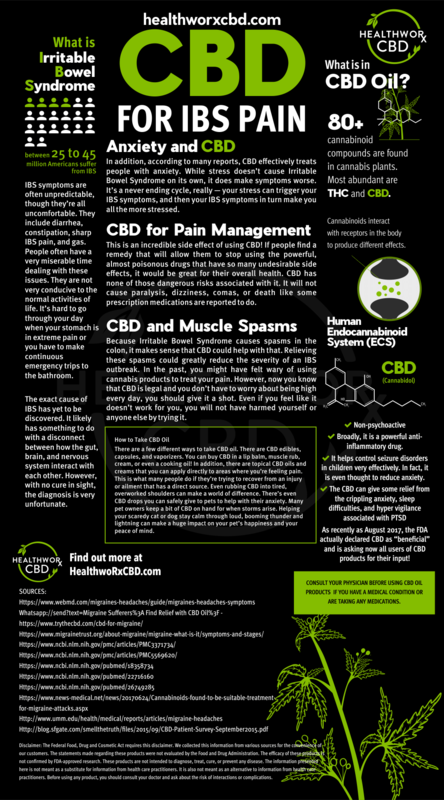 What about using CBD products for general chronic pain conditions and situations? Let’s ask the reputable source Medical News Today. Did you catch that? Go back and reread it! It seems cannabis is redeeming itself and earning a new name and reputation in the world today. Marijuana just might be able to replace dangerous painkillers someday soon. But let’s keep reading to learn more. 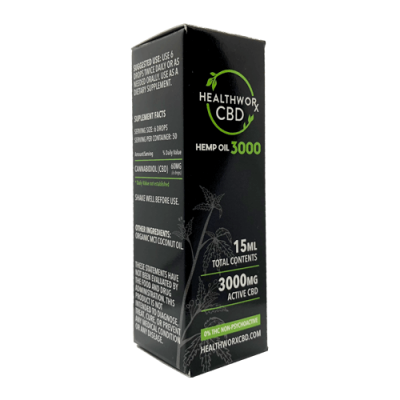 CBD Oil – A Safer Alternative For Pain management – Buy now HealthwoRx CBD Oil. “A separate study in the Journal of Experimental Medicine supports these results. The research suggests pain and inflammation can be reduced through CBD use. This is another essential part to note! If users do not tend to build up a tolerance, then they do not need to bother consistently upping their dose. This helps to eliminate the possibility of abuse. 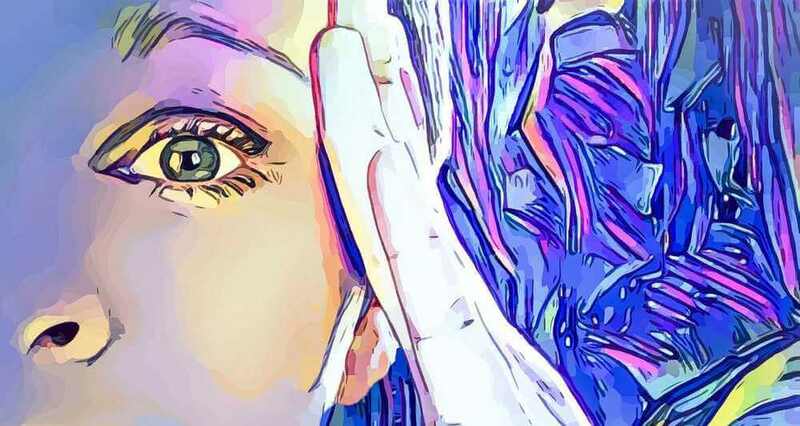 Plus, if even researchers are seeing the ways that CBD may be able to treat people with chronic pain, then perhaps more and more doctors will begin to recommend CBD as a more safe alternative to people who need a solution for the pain they are experiencing. Still, we have to take things slowly. “While many studies have suggested CBD oil is helpful for pain, more research is needed, especially long-term studies with human subjects. However, CBD oil does show a lot of potential for pain relief. If anecdotal evidence is to be believed, it can be used to help manage chronic pain in many cases. All of this is excellent news. There is hope on the horizon for people who suffer from pain on a day to day basis. So what about other painful conditions like arthritis? Can CBD products help the pain in all forms, or just muscle aches and pains? “A study in the European Journal of Pain used an animal model to see if CBD could help people with arthritis manage their pain. Researchers applied a topical gel containing CBD to rats with arthritis for four days. What does this mean for CBD products? What does CBD do for people with arthritis? Exactly what it sounds like! People using CBD oil for arthritis may find relief from their pain. Still, it’s important that we wait for results from more studies before we get too carried away. Perhaps the biggest reason that people turn to CBD for help is the fact that opioids can be so dangerous. The opioid epidemic is a huge buzz word in the world today. The biggest danger they pose is how incredibly addictive they are. Even people who are not addicts can quickly become physically hooked on these powerful drugs. From there, the options are not great. Withdrawing from a potent drug that mimics morphine is no joke. Opioids are very easy to get a hold of in today’s market place. Doctors are beginning to see that perhaps they have over-prescribed these addictive chemicals. They are very easy to abuse, and they lock people into a dark cycle. They can sedate people and also damage their brain and pain receptors over time, creating dependence and keeping the vicious cycle alive. Find CBD products that suit your needs at our online shop. If you have any questions, read our FAQ or contact us directly! 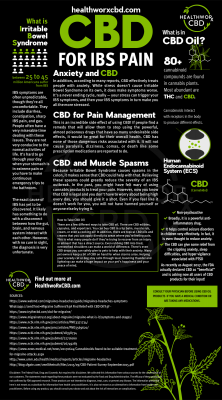 This entry was posted in CBD Science, Treatments and tagged cbd effects, cbd for pain, CBD Treatment, pain management.